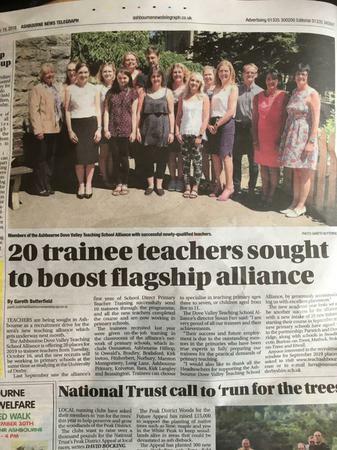 Ashbourne News Telegraph have today released an article about the success of our 2017-18 Cohort. Our places for 2018-19 are now filled however applications are now being accepted for 2019-2020. We have 20 spaces available. Apply now! We work with and are supported by the East Midlands, South Yorkshire and Humber Teach School Alliance. Please click the link to their website for more information.